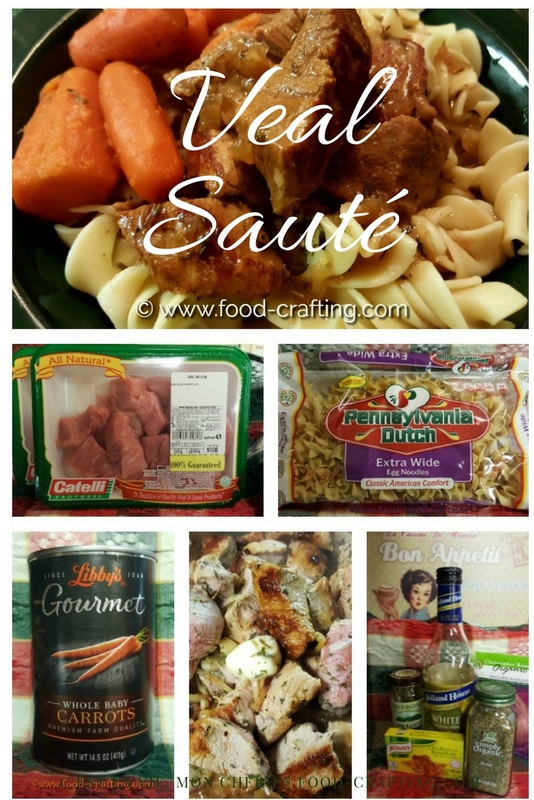 Veal Sauté Recipe – This recipe is a standard company dish from my Aunt’s kitchen. Everyday French dishes involve just a few main ingredients seemingly thrown together. The keyword here is seemingly because it always looks so effortless. Bibi would create such mouth-watering gems as her sauté de veau in her 5×10 Parisian galley sized kitchen. In short order she’d emerge with her signature sauté perfectly plated with a molded tower of fluffy white rice decorated with freshly minced parsley. Food presentation is an art! Discover the styling secrets of food professionals ! 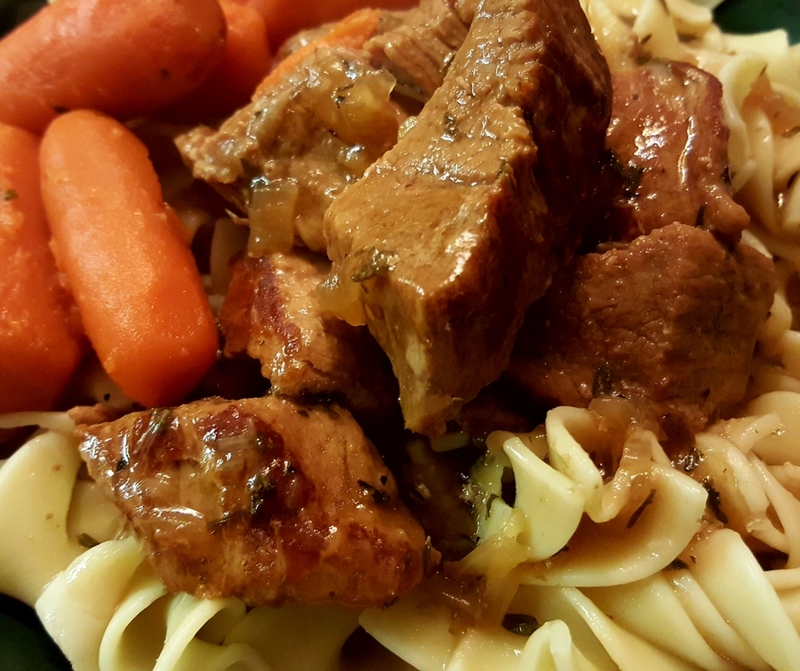 Sauté de Veau – Une recette que je tiens de ma Tante Arlette. Le plat nous régale toujours. 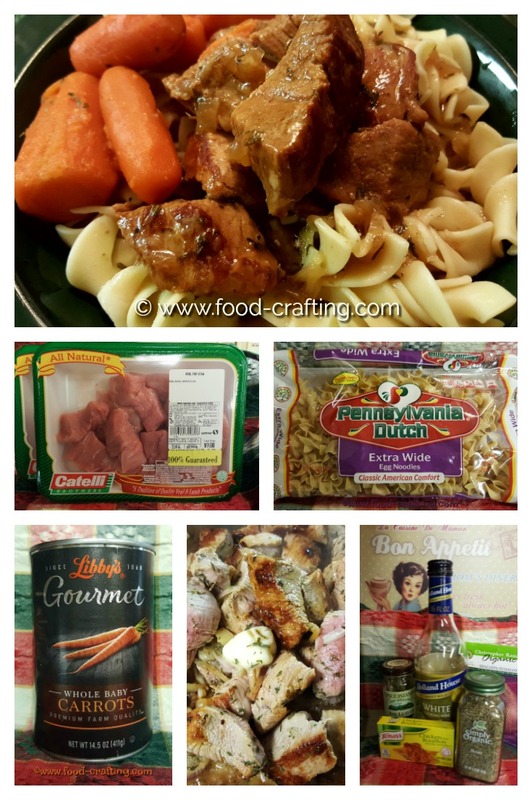 This recipe includes a chicken bouillon cube. I use both Maggi® and Knorr® but regardless of the brand, feel free to use low sodium cubes and soup base. On high heat, in a dry pan, sprinkle the “crazy salt” on the bottom of the hot pan and immediately place the meat in the pan, spreading to a single layer of meat. 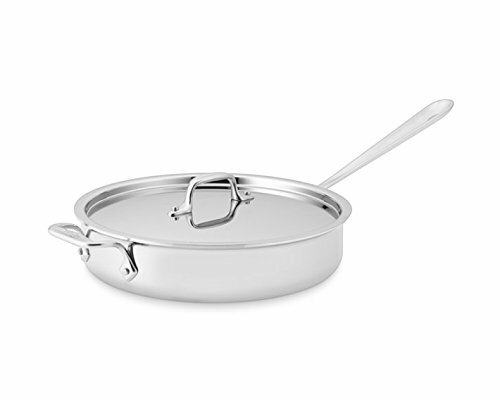 The best pan for this purpose has a heavy thick bottom which helps diffuse the heat evenly. Start browbing the meat and top with sliced shallots and diced onions. Sprinkle with thyme, salt and pepper to taste. Don’t forget to account for the sodium content of bouillon cube. Shake the pan to loosen the pieces of meat, then turn the pieces to brown the other side. Do not burn the meat or the shallots. Lower the temperature to medium-low. Add the white wine, adjust seasonings, cover, lower the temperature to low and simmer, covered, for 2 hours or until completely tender. Remove the lid and reduce the cooking liquid to a thick glaze. In a 1/4 cup of water, dilute some cornstarch. Add to the sauce, stir to combine well and allow to thicken. Adjust seasonings if needed. Serve over egg noodles with a side of Libby’s® Gourmet baby carrots and peas. Here is a recipe variation> After the pan has been deglazed, place the recipe ingredents into a programmable pressure cooker and adjust the seasonings – include the second bay leaf and the white wine. Stir well to comibne. Close the lid, position the steam handle to “seal”, set to “Manual” and 20 minutes. Allow the pressure to release by itself. By the way, if you are not into “traditional” cookware, be sure to take a look at these Raymond Loewy designs. Veal dishes pair well with white wines such as Chablis and Zinfandel but make it a light red wine. Check this chart to find additional information on the perfect wine pairing for veal dishes. Mini video of the deglazing process. In the video, the water has been added to de-glaze the pan. At this point in the veal sauté recipe, I am ready to add the wine, adjust the spices and seasonings, set to low temperature and simmer for about 2 hours. This is a great recipe for me to try! 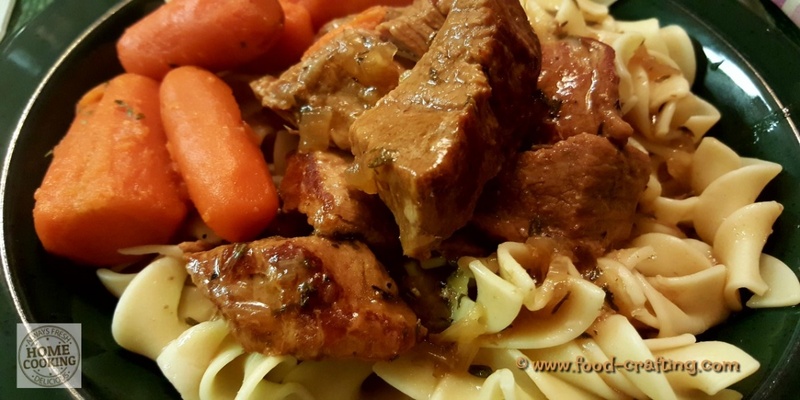 My husband loves veal and I’m always looking for a new recipe for it!